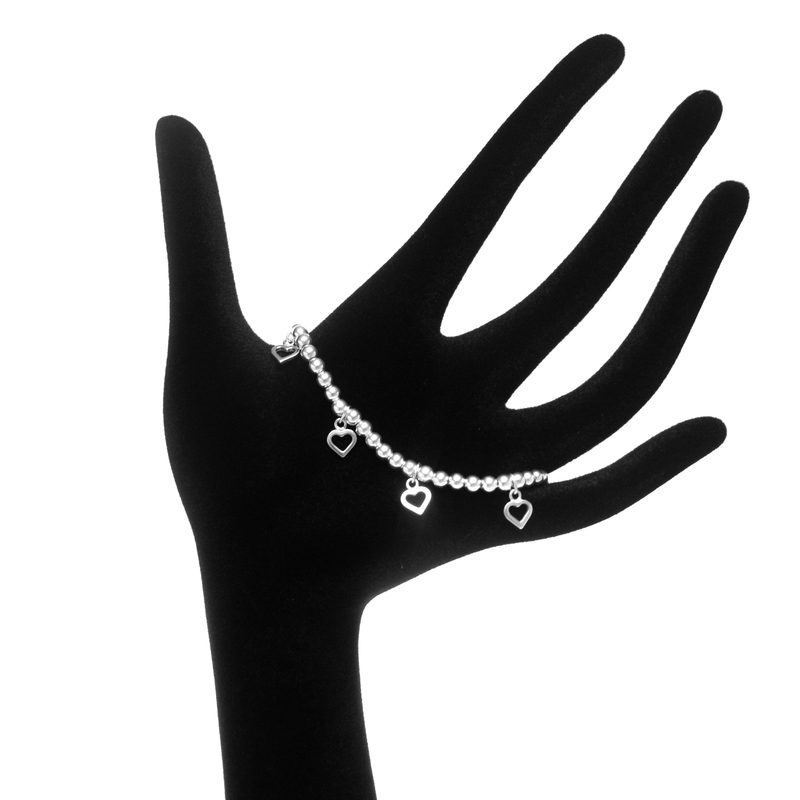 Beautiful bracelet with 4mm sterling beads and 5 gorgeous heart shaped charms (7mm by 9mm and .25g approx.). It looks young and cheerful. 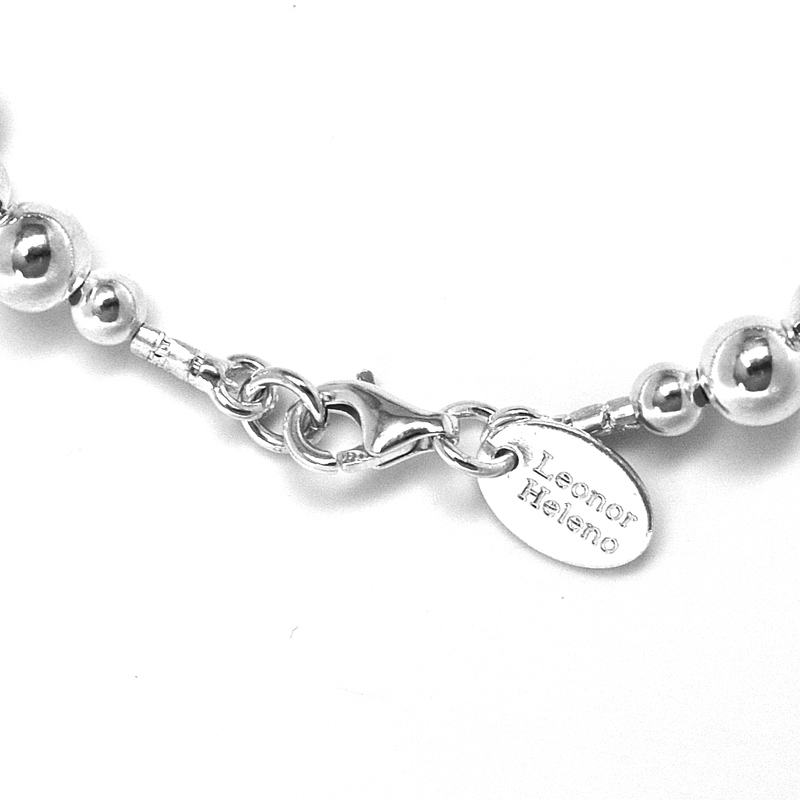 The bracelet has a 9mm sterling silver toggle clasp. 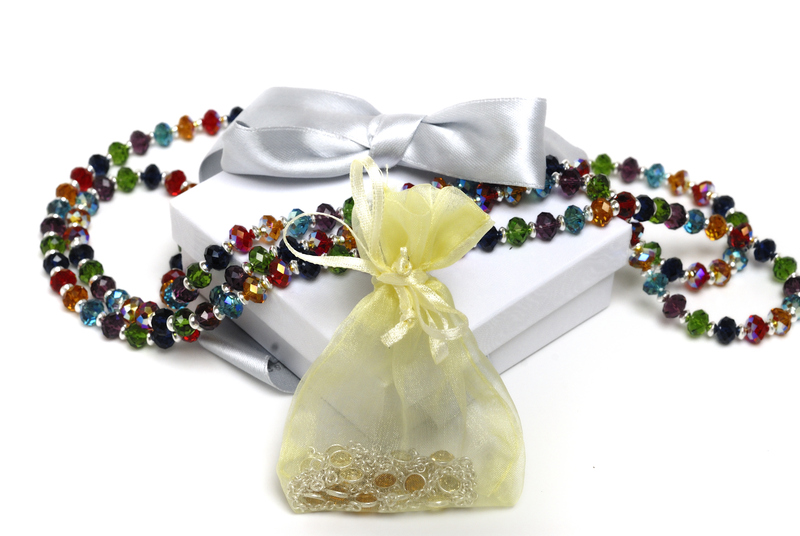 This item can also be done with a regular 9mm sterling silver clasp.